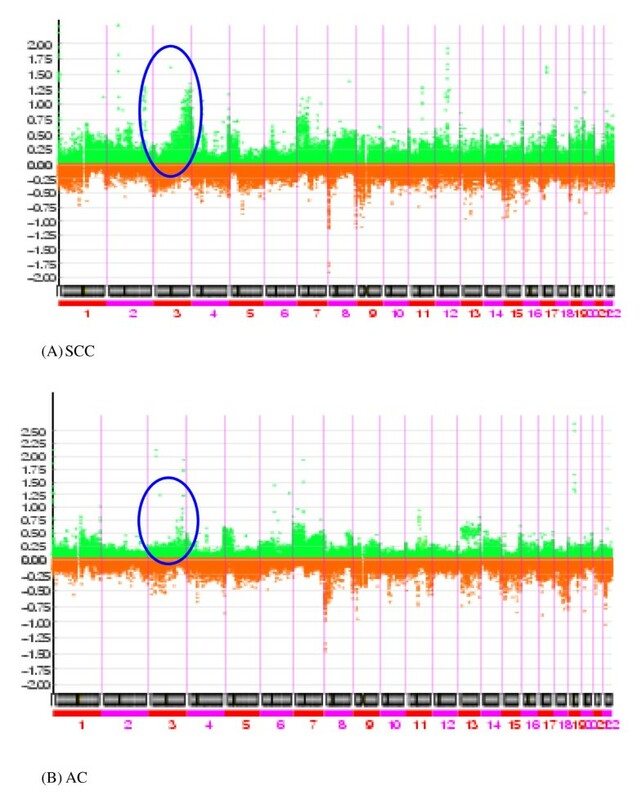 As a gain of EVI1 and MDSI at 3q26.2 has been described previously in SCC, we sought to determine whether there exist any correlations between EVI1 or MDSI and the newly amplified genes of EPHB3, MASP1, or SST. Interestingly, co-amplifications were demonstrated for EVI1 and EPHB3 in 18% and for EVI1 and SST in 14%. 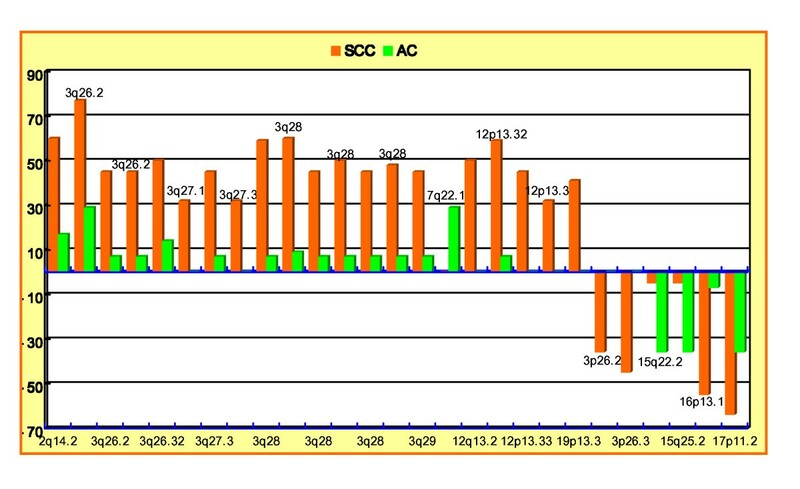 All of the amplified genes, including significantly associated targets in SCC at the 3q26.2–q29 regions, are summarized in Table 4. 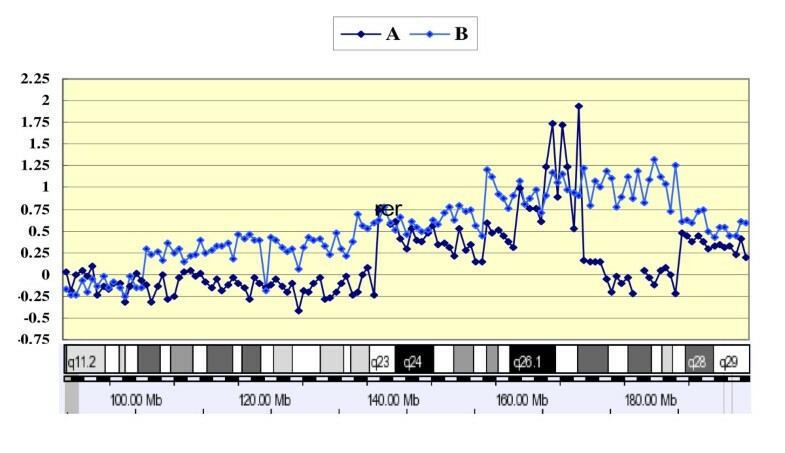 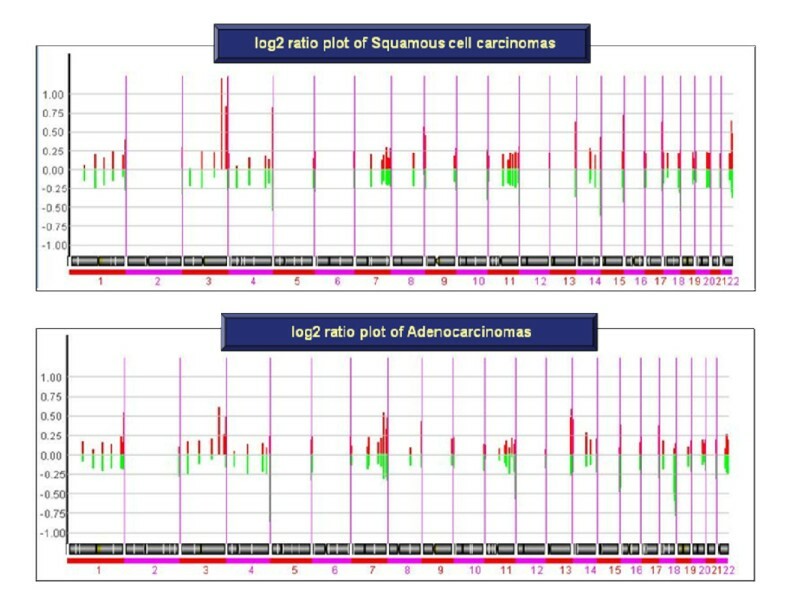 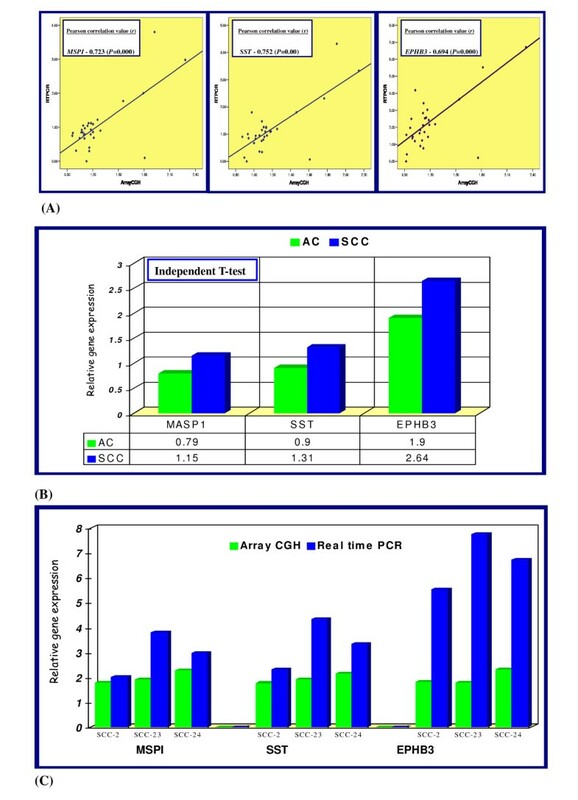 Figure 5A shows a weighted frequency (%) diagram for chromosome 3 with high-level amplifications, and Figure 5B represents more detailed profiles at the 3q26.2–q29 regions with the significantly associated genes in SCC. 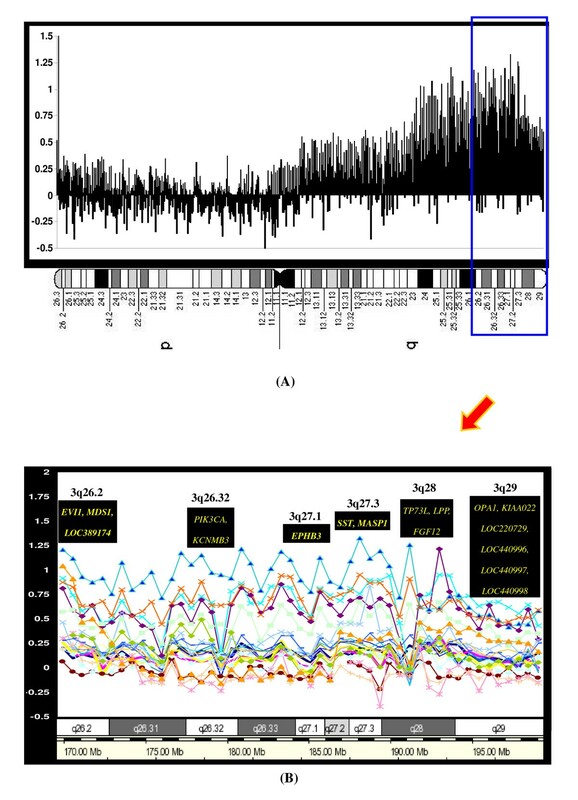 The data discussed in this publication have been deposited in NCBIs Gene Expression Omnibus (GEO) and are accessible through GEO Series accession number GSE 16597 http://www.ncbi.nlm.nih.gov/geo/query/acc.cgi?acc=GSE16597.